Athletic surface used SNAP SPORTS consists of small panels, so we don’t need any construction.It is not only used in a Public sports institution but also used in temporary event place. In addition to this, if one of the panels is damaged, you should replace only that panel.You can reduce costs of repairing. We can set up anywhere if it has the place.It is so easy to set and it is full-scale surface! In U.S.A, professional basket-ball teams are using this surface. To reduce physical burden of players, proprietary technology is used in this panel. 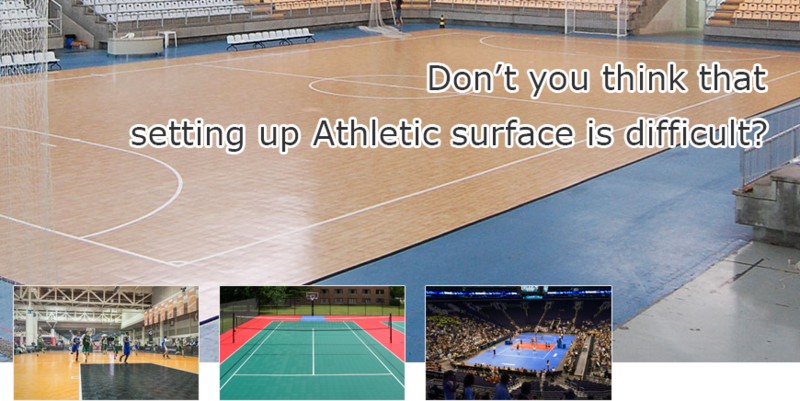 It is used for Various kinds of sports such as Basket ball, tennis, volley ball, futsal, inline-hockey and so on. It is called ” multi-court”! The panel is not only for indoor, but also for outdoor. so it is used in many situations.